Slow and steady wins the race when it comes to these eggs. The key to this recipe: patience. 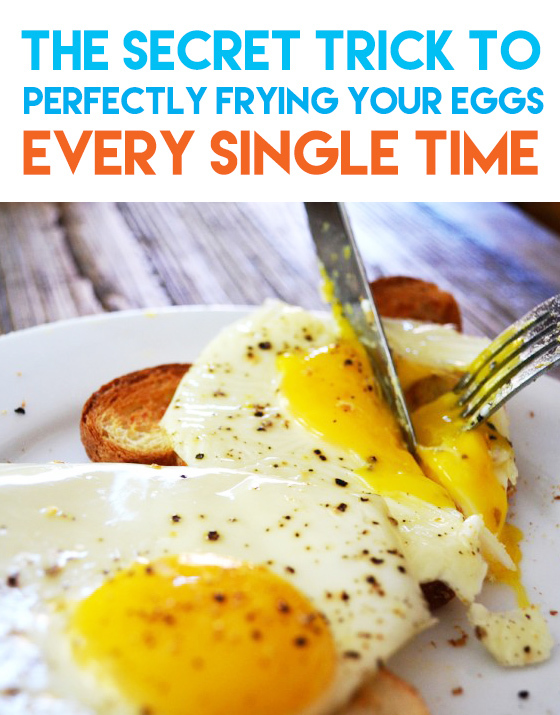 These eggs take ten times longer than your typical fried egg, but therefore, are ten times tastier. 1. 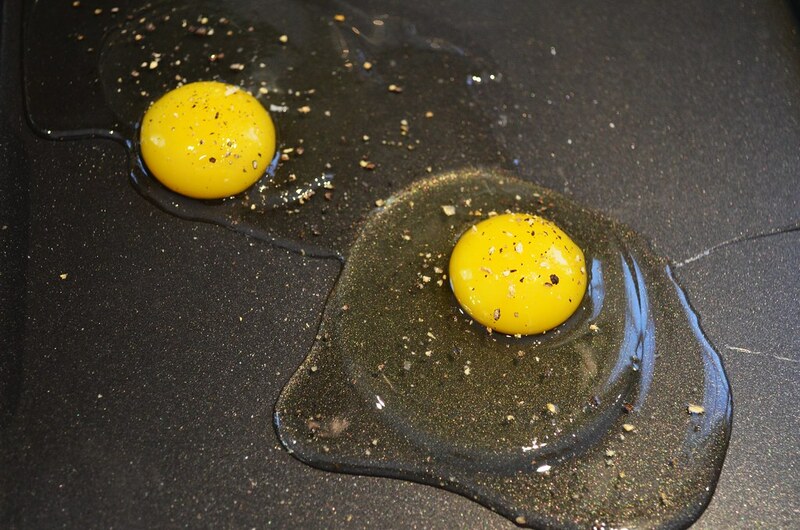 Crack two eggs onto a nonstick frying pan or a buttered frying pan. 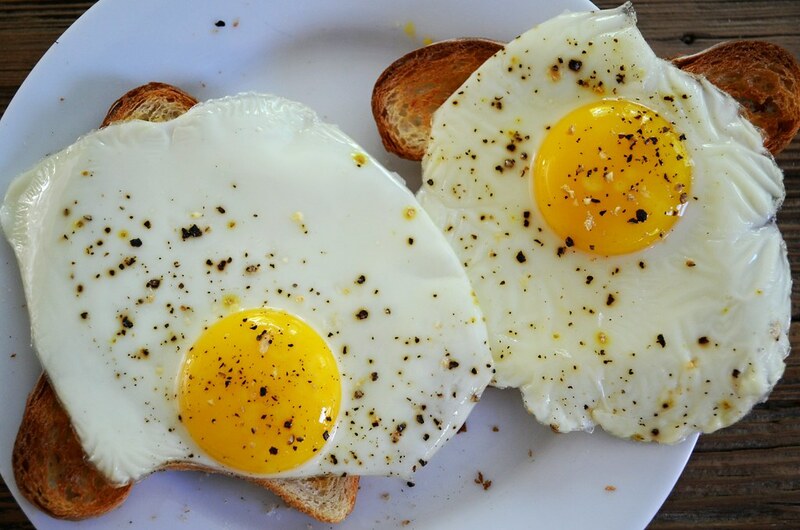 Season eggs with salt and pepper. Turn the burner on low. No, lower. Lower. Lower. 2. 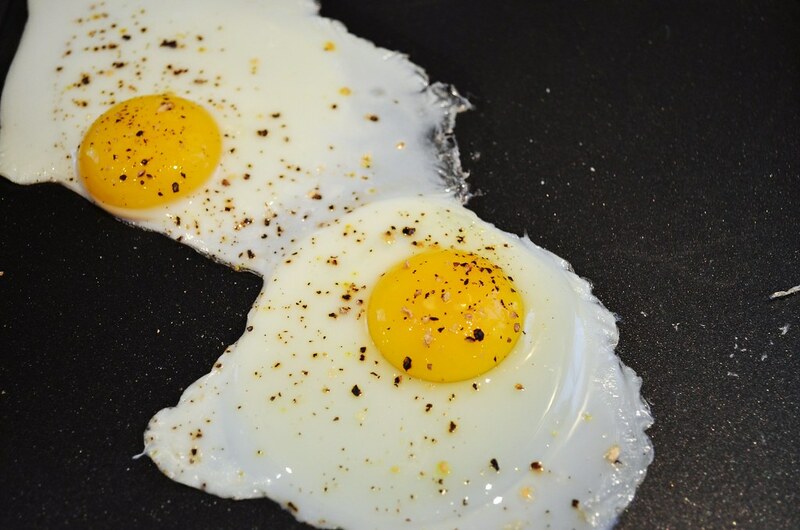 Allow eggs to cook in pan for about 10 minutes, or until the egg whites have gelled. The whites will slowly change from transparent to opaque. 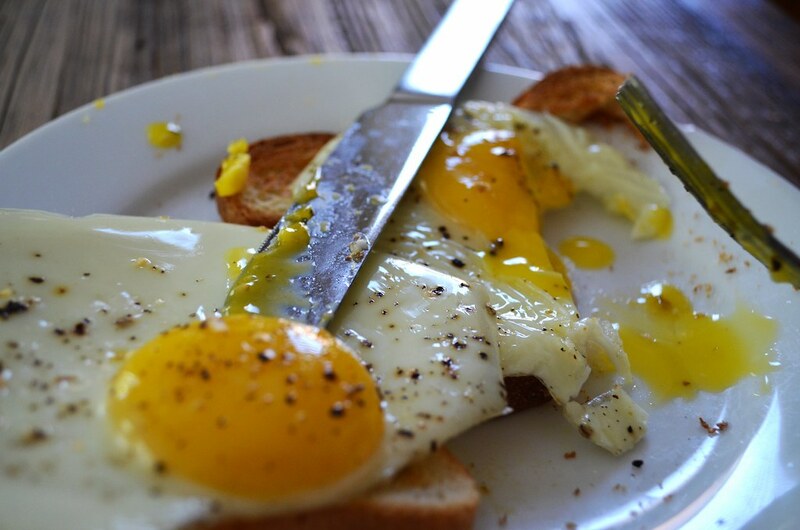 While eggs are cooking, toast and butter two slices of bread. 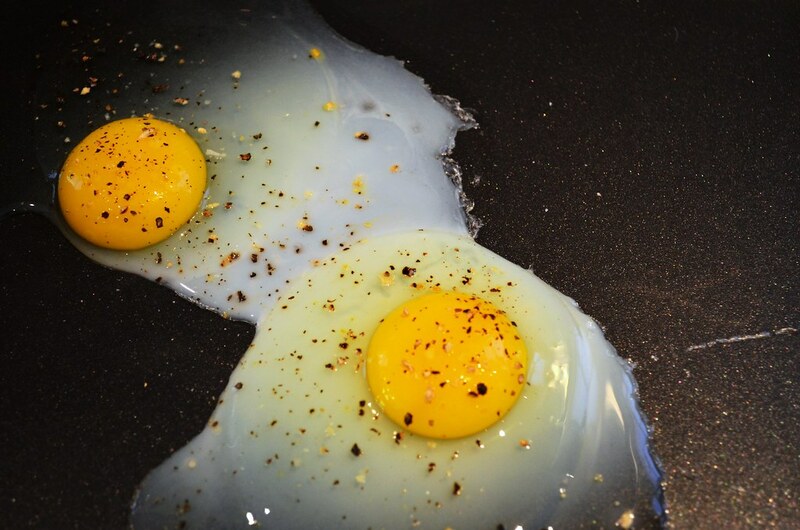 Yolks on you if you think there’s a better way to fry eggs!